José Luis MONZÓN CAMPOS is Professor of Applied Economics (Economic Policy and Social Economy), President of CIRIEC-España, director of CIRIEC-España, a Public, Social and Cooperative Economy journal, and member of the editorial board of several Spanish and international journals. He is a founding member of FUNDIBES and NOVAFEINA, member of IUDESCOOP and Director of both the Spanish and the Ibero-American Social Economy Observatory. He was Director of the Valencia School of Business Studies, President of CIRIEC-International and its Scientific Commission on Social and Cooperative Economy and has managed several Spanish and international research projects on Social and Cooperative Economy, and professional training and the labor market. 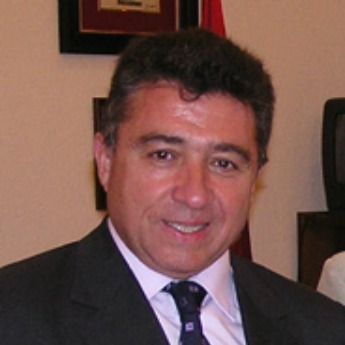 José Luis collaborated as an expert with the European Commission and with the Social and Economic European Committee. He is the author of numerous articles and books on social economy. Among the latest publications stand out The Social Economy in the European Union (co-directed with Professor Rafael Chaves) and the European Commission´s Manual for drawing up cooperative and mutual society satellite accounts (co-directed with Professor Barea). Barea, J. and Monzon, J.L. (eds.) (2008): Manual for drawing up cooperative and mutual society satellite accounts. European Commission, D.G. for Enterprise and Industry, Bruxelles. Study carried out for the European Commission, D.G. for Enterprise and Industry, used by the Commission to produce satellite accounts for social enterprises in Spain, Belgium, Serbia, Bulgaria and Macedonia. Chaves, R. and Monzon, J.L. (eds.) (2008): The social economy in the European Union, European Economic and Social Committee (EESC), Bruxelles. Study commissioned by the European Economic and Social Committee (EESC), published in all the official languages of the European Union. Barea, J. and Monzon, J.L. (eds.) (2011): Cooperative, mutual society and mutual provident society satellite accounts in Spain, Spanish National Institute of Statistics for the European Commission, Madrid. Barea, J. and Monzon, J.L. (eds) (2011): Satellite accounts for Foundations in Spain, Foundation of Savings Banks, Madrid. Commissioned by the Spanish Government. “Social Economy and employment of people with disabilities in the Basque Country” (2008) Co-directed with Professor Barea, contracted for the BBVA Foundation. Commissioned by the Ministry of Labour in Spain.